Monday August 28, 2017: Quinn confronts Sheila, Justin keeps Bill updated on Spectra, and Sally is pulled to safety. In Bill’s office, he sips a whiskey and smiles at his model skyscraper. Justin enters, reports that ‘things are moving along’, and says, “It looks like you’ll get your building.” Bill muses that one way or another, he always gets what he wants. Bill insists this will be good for Sally, who will thrive in the face of adversity. He doesn’t want her to fail forever…just for now. Justin assures him no one will be hurt…the only thing dying tonight is a dream or two. After, Justin tells Bill that the fire trucks are on the way. Bill muses about Spectra going down in a blaze of glory. The fire rages in the Spectra Fashions building as Sally, Saul, Shirley, and Darlita return from dinner. Sally rushes into the office as the others protest. Soon, sirens sound, Shirley hollers, and the staff and firefighters work to get an upset Sally out of the building and harm’s way. Outside, Sally can’t believe this is happening. Shirley wonders how it spread so fast. The firefighters move them in case the building collapses. Sally begs him to save Spectra. In the Forrester living room, Quinn tells Eric she’s not in the mood for a martini, and wants to know how James’ examination of Sheila’s going. They rehash the out-of-control situation that landed Sheila there. Quinn’s not convinced the concussion isn’t one big lie. Upstairs, James wonders if Sheila plans to fake a concussion for the rest of her life. Sheila insists Eric will soon see how horrible his wife is and kick her out. She repeats her threat when James tries to reason with her. 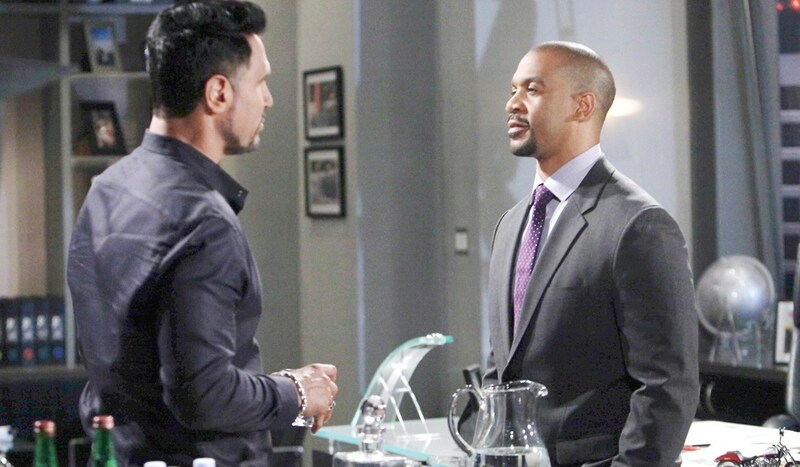 Eric enters with Quinn, who is certain Sheila’s well enough to be on her own…starting tonight. James admits Sheila’s improving, but cautions she could relapse and end up in the hospital. Sheila meekly offers to leave if someone could just call every morning to make sure she wakes up. Quinn scoffs and accuses her of faking and taking advantage. Eric decides Sheila will stay. After, downstairs, Quinn protests as Eric assures her it’s temporary, and asks her not to stir the pot in the meantime. In the bedroom, James is irked about lying, and Sheila insists Eric needs her there for protection – when his wife betrays him again, she’ll be there to take her down. Later, Quinn enters Sheila’s room and finds her up and humming. She confronts her about milking the situation. Sheila hisses about her cheating on Eric. Quinn wants her out tonight, and strides to the door. Sheila grabs her and then throws an object at her head. 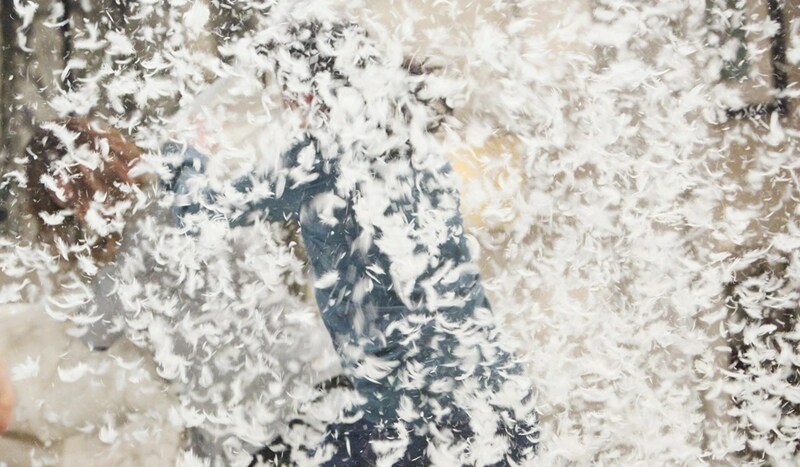 A catfight ensues on the bed with feather pillows bursting and glass breaking. Sheila sits on Quinn. Eric intervenes between Quinn and Sheila.